Pagid Yellow RS-29. Best compound for endurance racing on the basis of the RS14. A slight reduction of the friction value improves the modulation (controllability). Best compound for endurance racing on the basis of the RS14. A slight reduction of the friction value improves the modulation (controllability). 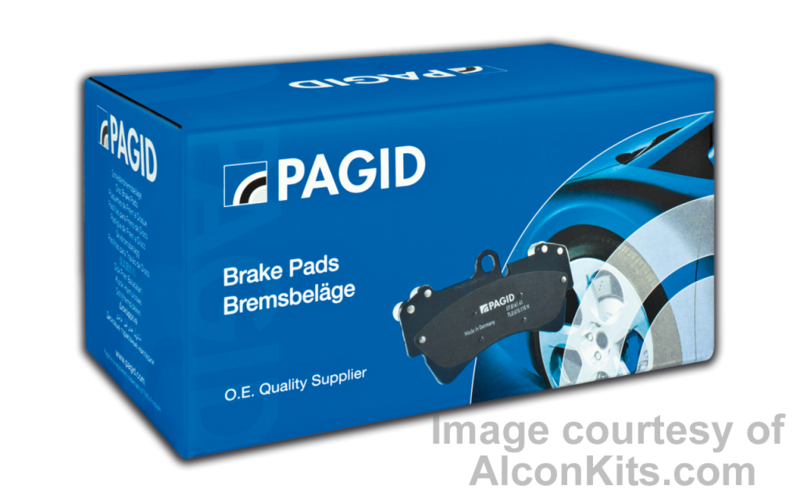 Nevertheless, the friction value is enough for cars without power-assisted brake system and ensures comfortable low effort on the brake pedal. Constant temperatures up to 600°C (1,100°F) are possible. The combination of friction value, fading stability and low wear rates on pads and discs (rotors) realised with this material is unmatched up to now. Due to its excellent release characteristics and controllability PAGID endurance materials are also often used for sprint races. A multiple winner of Daytona 24h, Le Mans 24h, Sebring 12h, Spa 24 h, Nürburgring 24h, often with no pad change and usually no disc (rotor) change. Application: All endurance racing cars from Group N (Speed-WC, Grand Am Cup), Group A up to GT and Sport-Prototypes (Grand Am DP).